Use the sliders a, b, c to change the size of the box (rectangular prism). 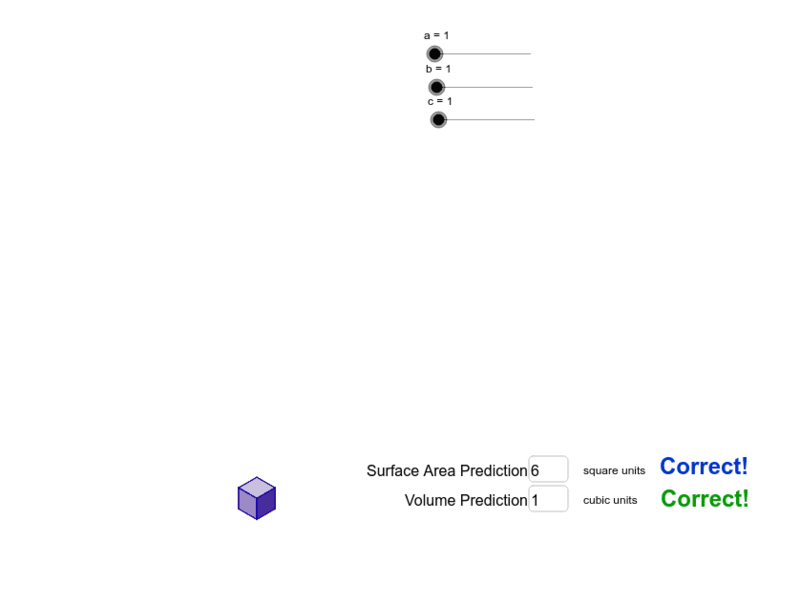 Predict the surface area and volume. Enter your predictions to see if they are correct! Zoom out if your prism won't fit on the screen.